Online Application Details for City and Industrial Development Corporation of Maharashtra Limited CIDCO Recruitment of 192 Assistant Engineer and 8 Field Officer is given below. 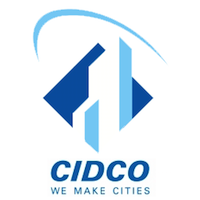 Candidate's minimum education qualification for the Vacancies in City and Industrial Development Corporation of Maharashtra Limited CIDCO should be Graduate Degree in Civil Engineering / Construction Management / Architecture, Diploma in Architecture, B.Arch. / G.D.Arch.